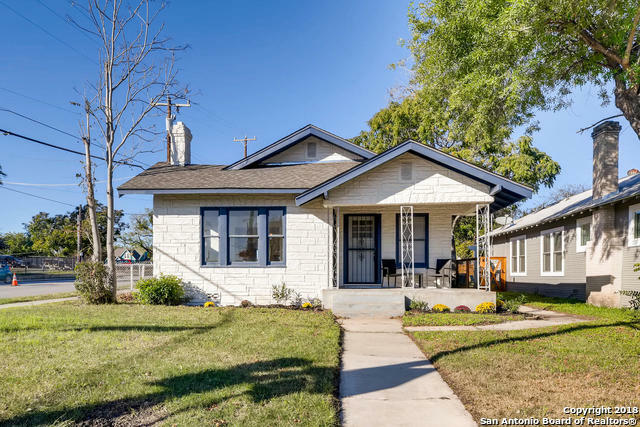 All HIGHLAND PARK EST homes currently listed for sale in San Antonio as of 04/22/2019 are shown below. You can change the search criteria at any time by pressing the 'Change Search' button below. "NEW privacy fence installed! Only minutes from Downtown and The Pearl! Centrally located with easy access to highways. Custom kitchen with new stainless steel appliances, granite countertops, and custom cabinets. Original hardwood floors throughout the home. Fully remodeled bathrooms. 1-Car garage w/remote. New HVAC and many more upgrades. This home is a must-see!"